By now you realize that in order to educate, inform, enlighten, inspire or entertain, you need a very clear understanding of your target audience. In order to post content that is engaging to this audience, you need to take the time to put yourself in the target’s shoes, imagine the problems she faces and the things she’s likely to find entertaining and useful. A lot of these things will not be directly related to you, your products or your store. But when you engage her on her own terms, you’re starting a conversation and building trust with a potential lifelong customer. Don’t let the word “writing” mislead you. 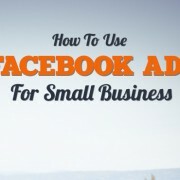 When you create a Facebook ad, you have very little text to work with. The ads we create often use less than 250 characters and focus on getting the attention of a specific target audience and then convincing that target to take a specific action. Before you can start writing a post for your ads, you’ll need to understand the basic elements of a Facebook ad. Then we’ll cover psychological triggers to incorporate into your post. Your headline should grab attention and explain exactly what your post is about. You have very few characters to work with and very little time to grab your target’s attention. If your post addresses a target’s problem, state that problem concisely. Once you’ve made your target understand that you are aware of the problem that they face, explain how your post or content can solve that problem for them. If there’s a way for you to tie your message to a more credible or authoritative source, your message and copy will be more convincing. Reference an outside expert. Cite a respected source in your industry. Quote a news source that makes your point for you. For ideas for exact phrases to use in your Facebook ad copy, check out Entrepreneur.com’s 189 Words That Get Your Customer’s Attention Every Time. Choose the best idea from the 5 ways to engage your audience you came up with in step 3. Using the principles of writing you just learned. Make sure your post gets straight to the point on the first line and limit the total number of characters to less than 90. For now, write your post down on paper with the other action steps. We’ll actually put your post on Facebook in the next step, once you’ve chosen a visual.